Naturaleza Organic Jewelry: Mayan Numerology Rings make great Valentine's Day gift! Mayan Numerology Rings make great Valentine's Day gift! Share a special date with a Mayan Numerology Ring. Every ring is handmade with up to three numbers, using ancient Mayan symbology. A great way to commemorate an anniversary, wedding, engagement, or the day the sparks first flew! 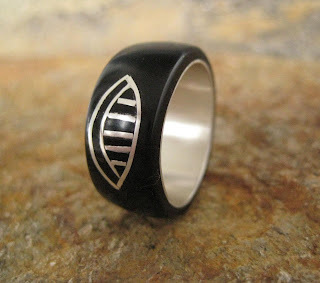 Read more about our rings, find them on Etsy.com, and write us if you have any questions. You can play around with the numbers too! It is the best blog .I appreciate it alot ,the thins which is written in this blog is good and appreciable.With this alot of problems can be solved very easily.